Do you work in project management, software development, IT service management or business management? Do you already have basic knowledge of agile frameworks, techniques and tools, especially Scrum? Do you want to practice their application and learn more about them? Do you want to be more agile? Are you interested in preparing for the international certification of a renowned International Testing Institute confirming your skills and knowledge of Agile and Scrum, which you get the Scrum Master or Product Owner or PMI-ACP title?? Do you want to gain the Scrum Master, Product Owner or PMI-ACP® credential? Then our Scrum Master + Product Owner + PMI-ACP course is the right choice for you. The course is accredited by EXIN (as Agile Scrum Master and Agile Scrum Product Owner). EXIN is a renowned international accreditation and certification body with more than 30 years of tradition and more than 2 000 000 graduates. Who Is This Course For And What Are Its Benefits? Wants to gain the knowledge and skills a Scrum Master should have. 2 day classroom course, delivered by our experienced trainers. The course can be delivered in English, German, Czech or Slovak. Allows you to make use of our quality guarantee. We run our courses as open, semi-open and in-company. If you are interested in an in-company course offer, please contact us. Please see our Public Training Courses Calendar & Prices for our upcoming courses & their pricing. If you require in-house training please contact us, giving the desired number of delegates, location and date range. All listed prices are exclusive of VAT, which is applied and charged in line with relevant legal regulations. Our terms & conditions apply. If you adhere to all trainer's instructions, participate in the whole course and want to resfresh your knowledge after some time, you can repeat the course with us once more for free within 2 years from its completion. 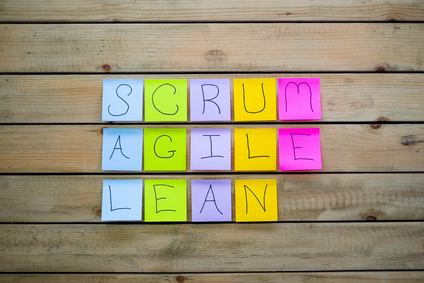 If you obtain a better price offer for a Scrum Master + Product Owner + PMI-ACP course in the same location, time period led by a comparably qualified accredited trainer and with guarantees comparable to ours, we will beat it - just present it to us. We value both the time and money of our customers. We therefore guarantee you that if you make a binding course booking with us and pay your participant fee on time, we will not cancel the given training due to lack of participants or any other subjective reasons. Since the company establishment we have not cancelled a single course with delegates booked onto it. In case your employee, who took the Scrum Master course with us paid by your company, terminates employment with you, you can take advantage of our know-how retention guarantee. It means that a replacement employee nominated by you can attend the same course for free. You will pay only fee for his lunches & refreshments during the course. Just provide us with a copy of the employment contract termination notice of the previous employee. Your replacement employee can take the course within 1 year from the original course. The course date has to be agreed at least 15 calendar days before the start of the chosen course. We assume the replacement employee will use the study materials left behind by the original graduate. If your company does not have the study materials anymore we will provide you with a new copy at cost. In case the course date, which you choose, would be fully occupied by participants who attend the course for the first time and not as a part of our know-how retention guarantee, we will contact your employee and offer him/her a new course date. Please fill in our order form or contact us by e-mail at: or call us at +421 949 218 061.